- Peanut was born in March! 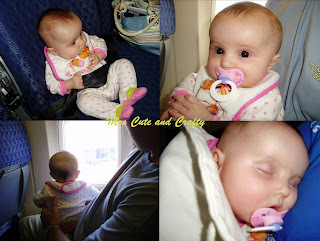 - Peanut took her first airplane trip in June to Illinois at the ripe age of 3 months for her great grandfather's funeral. - Peanut took her second airplane trip to Tybee Island for her first beach vacation - an annual trip we all love! This year - Anna Maria! 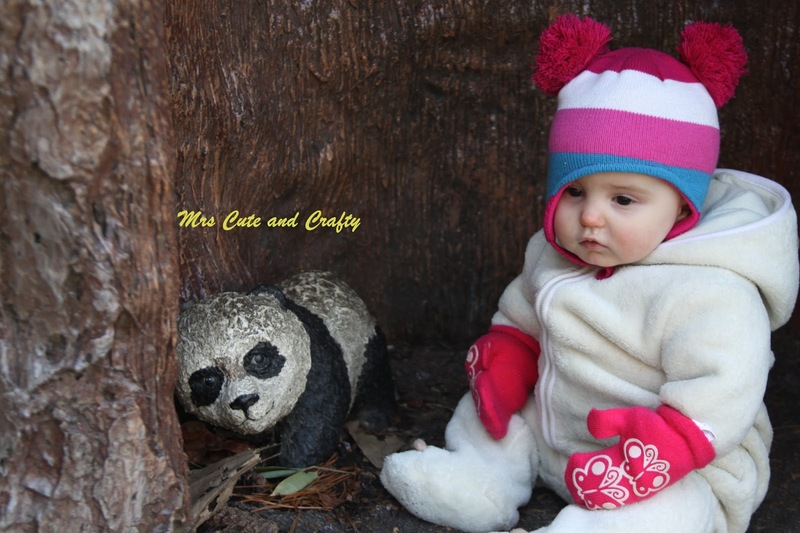 - We visited Montpelier, a cabin in Luray, the park, the National Zoo (loads of times! ), the pumpkin patch, Texas, Santa Clause and Memphis! 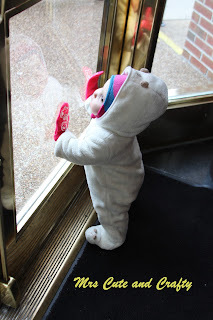 - Peanut celebrated her first St. Patty's Day, Easter, 4th of July, Halloween, Thanksgiving and Christmas! Now 2013 is upon us and Peanut is 10 months old. In less than two months she will celebrate her first birthday and I can't believe how quickly this year has gone by. We are heading to Florida at the end of February for a trip to Disney World and I am so excited. I have all of Peanut's clothes selected and practically packed for the trip! We were able to book a special package through the resort and get a dining plan for free so we are going to eat at some of the best Disney restaurants there are! But what is even more exciting is how much Peanut has grown these past 10 months. 1. No longer needed something to pull herself up on, Peanut can stand up using a wall or your leg. She is cruising all around the house now. 2. Even better? She can climb up and down the step in our living room AND she can climb up ALL of the steps to her bedroom (one of us is always RIGHT behind her). Where in the heck did she learn to climb stairs?! 3. She is a sippy cup sipping pro. I can see the end of bottles in our very near future. 4. Solid foods - she dominates them! You can hand her a whole chicken nugget and she quickly will devour it, always remember to chew first. 5. She has 6 teeth with more cutting through. She thinks its funny to bite so we are quickly teaching her that it hurts mommy and daddy and it isn't allowed! 6. She can say a lot of words. From mama (most used when she is in distress), dada, and her favorite dog, or a dog! Unfortunately, that means EVERYTHING is a dog. She also learned duck on our recent trip to Memphis. We are teaching her up, hi and ball now. 7. When you say arms up she promptly lifts her arms in the air so you can remove her shirt. 8. She really is still a Peanut - she weighed in today at 16 lbs even! 9. She is a quick learner - she knows how to open and close things, that to open the window on her toy door she has to pull it up, and she especially knows that she doesn't like when toys are put away in the toy bin. She is quick to dump it out one by one, only to repeat the process once you put it all away. 11. She can stand up without assistance. Usually it happens when she isn't even thinking about it. Like after picking up something from her activity table or when you hand her something she wasn't expecting. She'll stand up all by herself for a good 5 seconds before realizing she isn't holding on to anything! Any day now she'll get her balance fully and just take off. And then the fun REALLY begins! 12. She thinks she is an indian. She loves bringing her hand up to her mouth and going "ahhh." Really is the cutest thing ever. Except when she does it during our family photo session! She truly is the light of my life. When she isn't with me I miss her. I love going home and playing with her. She is at such a wonderful age. I am now in the process of planning her 1st birthday party. Luckily I've had a head start.